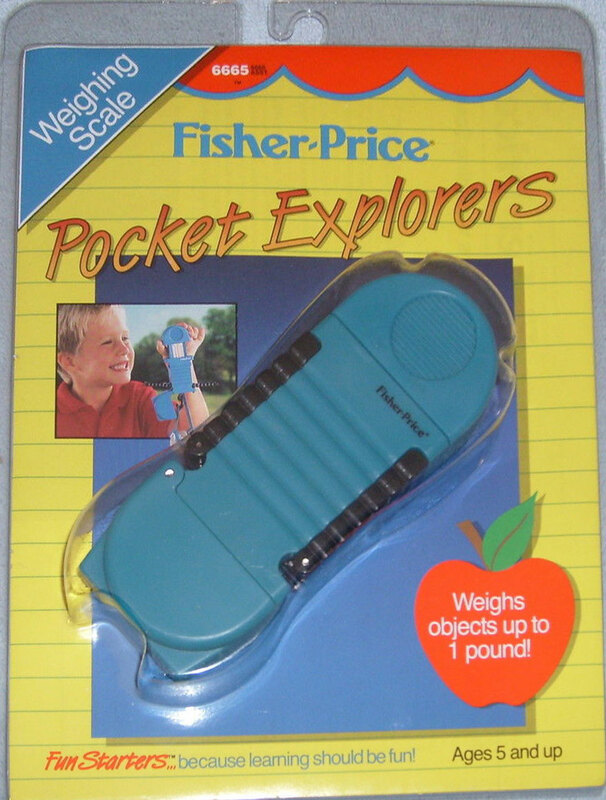 #6665 Pocket Explorers "Weighing Scale"
Description: This is a pocket size toy for exploring and learning about science. Has a clip for attachment to belts or clothes. Comes with an idea book with fun activities to try indoors and out. Designed for children ages 4 to 7 years old. FPT45018 - Pocket size weighing scale in a blue case that weighs items from less than one ounce up to 5 pounds. The case has 2 black arms (one one each side) that fold down for balancing the scale and the top of the body has a spring scale. The bottom of the case folds down to reveal a black hook and a removable net that holds the items that children want to weigh. The case has a clip on the back to attach to a belt to clothes. FPT45019 - Idea book with activities to try indoors and out. Sold on a 7-1/8" long, 10-1/4" high, 3" deep clamshell blistercard with a "J" jook. 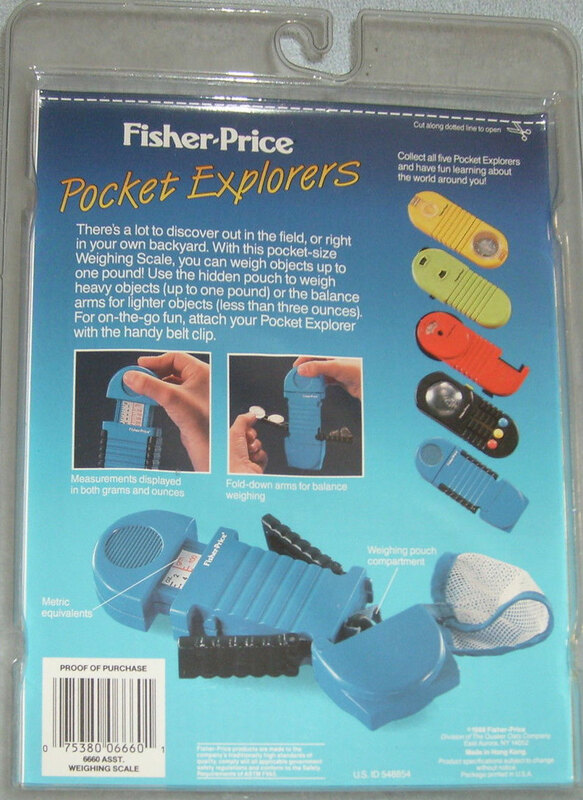 Also sold in #6660 Pocket Explorers Assortment.